A huge factor in your ability to achieve your goals lies in your capacity to focus and concentrate. Especially in our culture of persistent push notifications and constantly-updated newsfeeds, it’s important that we learn how to set limits with our technology. But our devices and apps are only part of the equation. Whether it’s the people around you or the different tasks on your to-do list, you have to choose where (and when) to apply your focus. Once you master how to most efficiently manage your time, nothing can stop you from reaching success. On today’s show, you’re going to learn 12 practical tips and tricks you can implement in order to reduce distractions and skyrocket your productivity. This episode is loaded with very specific tactics I’ve found to be effective in optimizing focus, plus the science to back them up! The two types of distractions that contribute to the interference of focus. How you can change your phone settings in order to reduce distractions. The shocking number of times per day the average person checks his or her phone. How our brains are designed to become addicted to the internet and social media. Two ideas for physically removing your phone from your environment. The shocking link between house cleanliness and health. Why rearranging the apps on your phone can cut down your distraction time. How meditation can literally alter the structure of your brain. Why the idea of multitasking is a myth. What science says about multitasking (including a shocking comparison). The link between exercise and increased concentration. The effects of sleep deprivation on your focus. How to prioritize your tasks while still honoring your own natural productivity rhythm. The importance of practicing self-care before you reach for your phone in the morning. 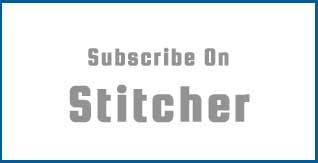 Shawn Stevenson: You are now listening to The Model Health Show with Shawn Stevenson. For more, visit themodelhealthshow.com. Welcome to The Model Health Show. This is fitness and nutrition expert, Shawn Stevenson, and I’m so grateful for you tuning in for me today. Listen, this episode is very special and very timely because if we’re going to accomplish our goals, if we’re going to achieve the things that we are capable of achieving, we’re going to need to be able to focus. At no other time in human history have we had so much distraction. And a big thing that is cultivated right now is this concept of FOMO, right? FOMO, Fear Of Missing Out. FOMO can be a MOFO, right? And there’s so much to do. There’s constant access. I remember when I was a kid, I just had time to just think. Just to sit around. Have you ever just thought? Have you ever just sat around and just thought? It’s been a long time since probably you did that. And also, just actually having human connection, and just sitting and taking time to connect with other people. I remember when I was a kid that when I would go to the bathroom, you know, this isn’t No. 2. I’d always bring my little brother with me and put him in the cabinet in the bathroom. So, back then, for me, he was kinda like my smart phone. I bring him in the bathroom. I would ask him questions, my little brother, we’d go back and forth. And that was the experience. Now, today, everybody takes a smart phone with them to the bathroom. It’s a whole different game. That thing is attached to our spirit, and there are some side effects that can occur from that. But today we’re gonna talk about optimizing your focus. So, we’re gonna go through 12 specific tips for conquering distraction and getting more done because whatever you’re doing in your life, if you want time to be able to train and to eat healthy food and to be successful in your career, have time for your relationship, we need to focus. We need to be able to cultivate that capacity that we have within us because today, like I said, we have WMDs, baby, Weapons of Mass Distraction. The real axis of evil is like between your phone and your television. But things can change. And these 12 tips, I’m telling you, take good notes, this is going to blow your mind. Now me personally, I’m just getting back from vacation, which was a really cool family vacation, and it’s always a wonderful experience. It’s something that I didn’t grow up with as a kid. I didn’t really get outside the boundaries of my own city. The first time I actually got on an airplane was when I was 25 years old. True story, a true story. And this is why I’m so passionate about encouraging folks to travel, to get outside of the kind of box that you’ve unkowingly put yourself in, in your thinking. And so, I’ve been able to travel, literally, around the world and to see different things, to experience different cultures. And it’s such a valuable thing. And I’m so, so grateful and touched to be able to allow these conditions for my children to have this kind of experience when they’re kids, and for them to know that there’s a whole lot more to the world. And so, but this particular vacation, we went to a place called Destin, Florida. So, Destin, Florida. It sounds like Destiny, so it sounds kinda cool, like some Fantasy Island stuff. And so, we went there, a very beautiful beach. Very clean. Pretty great weather. And all this stuff that you would ask for on a vaction. Family-friendly activities around the city. And it was nice to be able to get access to the ocean, the healing factors of that, which we have science for now, with the minerals intake into your body, the grounding, all that good stuff, the Vitamin D, is really cool. But something that wasn’t necessarily cool, and I’m just gonna share this with you guys, but I saw a shark. I don’t think you’re supposed to see sharks just right there on the shoreline, but that’s what happened. First day, water was super calm. I’ve never seen ocean water this calm. And this shark just comes strolling by the shoreline. First there was a lady. I saw the lady’s face and then she pointed, and that made me look and see the shark. Now this wasn’t the megalodon, or whatever it is, the meg, okay. Granted, this was 3.5 to 4-foot shark. It’s a shark. I don’t know shark rules. I know some people, they say like sharks, they just wanna be left alone. They’re not gonna hurt any... I don’t know that, alright. I didn’t grow up around sharks. And so, I kinda stepped back out of the water, and I’m just watching the shark, just strolling down the shoreline. And about 50 feet away, I could see me wife and my youngest son, Braden, 6 years old. They’re playing, splashity-splash. Shark’s making a bee-line right towards them. I don’t know what’s gonna happen, right? So, I look over. I say, “Babe, get out the water,“ and I motion for her to get out the water. And, of course, there’s a little bit of a hesitation in her face. She’s like, “You can’t tell me what to do,“ or whatever. But she could sense in the tonality that she needs to get out. And so, she gets my son out. They get out gracefully, no big deal, and I didn’t wanna cause a scene, right. I didn’t wanna be like – because my intuition was just like, shark! So, after they get out the water, I’m just following the shark down the coastline, like I’m gonna do something to the shark, right, just making sure it doesn’t – I’m ready to jump in save somebody if I need to. This kinda instinct kicked in. I don’t know what it was or what I was thinking, what kinda maneuvers, but that’s what I did. And, eventually, there was a lifeguard around, and I let him know about the situation. They’re like oh, yeah, they come down here every day. Really? You should have put a sign up. Like how does that... They were like yeah, nobody’s been bitten by a shark in 100 years. How do you know, huh? I’m sure you weren’t there, young guy, alright? I’m sure that you were not there guy. I’m sure you were not there. This was something they told you in the class that you took to be a lifeguard here, that they haven’t bitten anybody in 100 years. But I accepted the story. All good. The shark, actually, it was just every time it would go towards a person, it would just cut around. It would just – I probably shouldn’t say cut. It would just go around. It would make a change in it’s direction angle. It was just trying to get to where it was trying to go, so. But I had a run-in with the shark, guys. And it left an imprint, okay, obviously. But outside of that, really relaxing. Again, great time to just step away from things and to come back recharged and energized. And I’m just pumped. Listen, we just celebrated recently our 300th episode. We’ve been featured on the home page of iTunes for the entire country. The show is regularly being ranked No. 1. And I’m telling you, I’ve got some powerful things coming up. I’m hungry. And I wanna make sure that all of us together, collectively, that we’re going to usher in some serious change and to help transform some lives. So, with that said, and getting into today’s show topic, and talking about distraction and our ability to focus, this has a lot to do with our brains, overall. Check this out. This is very, very powerful. The compounds found in turmeric are so powerful that researchers at USC published data indicating that it can potentially have strong effects to prevent and even reverse the inflammation, oxidative damage, and the formation of beta amyloid plaques associated with Alzheimer’s disease, all of these conditions in the brain linked to Alzheimer’s disease. That’s how powerful this is. A study conducted at UCLA found that curcumin, which is a compound found in high concentration in tumeric may help the macrophages to clear the amyloid plaques that are found in Alzheimer’s disease, specifically. So, these macrophages kinda gobble up these amyloid plaques. So, this compound supports them. And another study, this study was published just this year, published in the American Journal of Geriatric Psychiatry, provides further evidence that compounds found in tumeric can support the function of your brain. Researchers tested tumeric extracts on 40 adults, aged between 51 and 84, all of whom had mild memory problems. The results revealed that the subjects who took curcumin twice daily demonstrated a 28 percent improvement in memory tests over the course of the study, while those who took the placebo showed no significant memory improvements. Why would we not take advantage of this? And, again, coming from a real food source, but we wanna make sure that it’s sourced properly, that it’s not a supplement that’s going to be treated with pesticides and herbicides and rodenticides, all these negative things that might potentially come along with it. For me, the tumeric that I just use today, the tumeric supplement, is a concentrate of the real whole food, plus they added in something called a biopotentiator in the form of the active compound found in black pepper, which, traditionally, these things are used together that actually helps your body to utilize the compounds in tumeric even better. And this is the daily tumeric product from Organifi, alright. So, I use that pretty consistently. And there’s even research indicating that it can help to reduce some of the symptoms associated with sleep deprivation, just on and on an on. Really, really great stuff. So, pop over there. Check it out. Get yourself some. Go to organifi.com/model. That’s O-R-G-A-N-I-F-I.com/model and you get 20 percent off, 20 percent off the daily tumeric, as well as the Green Juice formula that I love. They’ve got the Gold juice as well, alright. That Gold. The tumeric is the base of that one as well. Tastes amazing. My 6-year-old son, he’s like Gold’s my favorite, Dad. Gold’s my favorite. So, it’s another way that you can get some of these compounds in your body. Alright, so pop over, check them out, organifi.com/model, okay. That’s O-R-G-A-N-I-F-I.com/model, 20 percent off everything. It’s a great benefit. Protect your brain. Your brain is kinda running the show, and this is something that can help, so check them out, organifi.com/model. Now let’s get to the iTunes review of the week. Shawn Stevenson: Awesome. Thank you so much. And thank you for adding that immensely to it, that appreciation. I send that right back to you. Very powerful. Thank you so much for leaving that review. We do have, this year coming up, we’re gonna be talking about those teeths, alright. We’re gonna talk about dental health, as well. We’re gonna do a master class on that. So, lots of good stuff coming up, and everybody, please, if you have yet to do so, pop over to Apple Podcast and leave a review for the show. It would really mean a lot to me. And if you’re watching this on YouTube, just leave a comment below and let everybody know what you think of the show. And on that note, let’s get to our topic of the day. 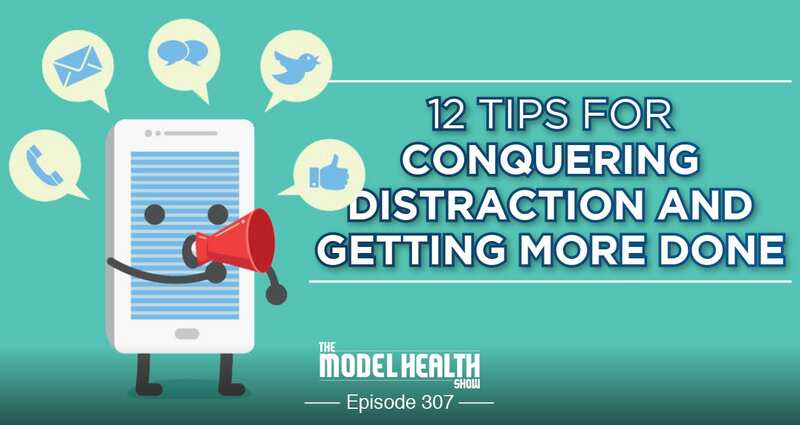 Today, we’re going through 12 tips to conquer distraction and get more done. Alright, 12 very specific things that I’ve found to be effective. And also, we’ve got some nice science to go along with what’s going on behind the scenes as well, so it’s gonna be fun to dive into this. So, let’s start with what distraction actually is. So, distraction, if we look at some of the definitions, it’s caused by the lack of ability to pay attention; lack of interest in the object of attention; or the great intensity, novelty, or attractiveness of something other than the object of attention. Now here’s something important to remember that’s going to carry with us through this episode, is that both external and internal distractions contribute to the interference of our focus, alright. So, external and internal. So, you can distract yourself within yourself, and we’re gonna talk about what that means. So, we’re gonna dive right in here today. And we’re gonna start off with No. 1, how do we help to conquer distractions and to get more done? What’s the big distraction? Obviously, it’s our phone. That’s one of the biggest things. When we’re supposed to be getting a job task done. So, maybe we’re working with a client. Maybe we’re doing something that our boss is expecting us to do. Or maybe we are even focused on getting something done for the kids, but then we keep finding ourselves getting pulled away. It’s because our smart phones have quickly become one of the greatest sources of distractions in our lives. The average person, experts are consolidating this data, the average person now checks their mobile phone 150 times a day, 150 times a day on average. That’s just short of every six waking minutes checking our phone. Now for you, you might be, maybe it’s not 150, maybe it’s 100 times. So, that means somebody else is doing it 200. So, again, this is an average number. And what’s one of the issues here? Our apps, right. Specificially, social media. Those are the big draws that really grab our attention. We’re gonna talk more about why. And so, one of the things that we can do; for example, me moving out of clinical work and beginning to work more at home, writing, doing interviews for media, and things like that. Just really needing to have a laser focus, and so that I can get stuff done. And then spend time with family, or to work at doing other projects. Maybe I got a speaking thing I need to do. I need to be able to focus. And so, one of the things that I did early on was to simply turn off the notifications. No. 1 tip here to help eliminate distractions: simply turn off some of the notifications that you get on your phone. So, we’ve got chimes coming in for text or phone calls, obviously, and voice mails. Then we got another chime coming in, potentially, from Facebook. We got a chime for that. You got a chime coming in for Instagram. You got a chime coming in for a new e-mail. You got chimes and dings and rings coming at you all the time. It’s kinda like if somebody’s constantly like hitting the doorbell at your house. Like you gotta get up and see who it is, right? But at some point if this is continuously happening, you’re just gonna be like just move in, everybody just come on in. It’s not a big deal. And we start to get used to this behavior, and it’s not normal. So, Tip No. 1 here, to help to take back your focus, to eliminate distractions, is to turn off some if not all of your notifications on your phone. I keep it like that. So, I do have text, which I could just turn off my ringer, I’ll keep that on, and phone calls, but I don’t get notifications from social media. I don’t get notifications from Messenger in Facebook, or from Instagram. My phone would constantly be chiming and dinging. And here’s the thing I want you to be aware of. Those apps, once you turn off those push notifications, they’re persistent about asking you to turn them on. You’ll just be going in one day to maybe check your messages, and it’ll ask you again because they want you to spend more time in their universe and not focus on building and creating your own, if that makes sense. So, one simple tip here to help you to eliminate distraction, to focus and to get more done in your life, is to turn off some if not all of your notifications. So, that’s Tip No. 1. No. 2, it’s just super-simple, incredibly simple, but if you’re needing to focus and to execute on something, simply move your phone physically out of arm’s reach. Just physically move it out of arm’s reach. We’re lazy, alright, just in general. We don’t wanna overexert ourselves. So, just by moving your phone away from you, you can prevent many of these just-checks, right, just-checks. Like I’ll just check my Instagram really quick. Or I’ll just check my e-mail real quick. If your phone is right there by you, you’re gonna have a natural tendency to grab and pick it up and take a look. And this is because our tech addiction. We need to have a heart-to-heart right now, okay. We’re having an intervention, okay, so just sit down. Listen. Alright? I know what you been doing. You’ve been on social media a lot more than you wanted to, than you said you’d be on there, but we can do something about this. No, I’m just kidding. So, we talked about the science of tech addiction with Dr. Robert Lustig, and that was Episode 240. We’re all addicted. It’s just the way that it is. It’s set up chemically, like our brains are hardwired to be addicted to them because of the response of a couple of key chemicals in our bodies. So, one of them being dopamine. Dopamine is a really powerful hormone/neurotransmitter that drives humans to seek, specifically to seek pleasure. It drives us to look for things. And it’s great. We need that for human evoluation, for us to not be content, to continue grow and to adventure, and to look for things. The issue is this; the Internet is perfectly suited to take advantage of that pathway because there’s infinite things to look for, especially social media because you scroll, you continue to seek, and you seek, and you seek, and you always find something. And that’s what you need because you go insane if you never find anything. Or you just quit because when you find something that you’re looking for, even if you don’t know that you’re looking for it, you get a little hit from your opioid system. And this creates this really powerful feedback loop of addiction, right? You seek, find, seek, find. Dopamine, opioid, dopamine, opioid. Before you know it, you’re just grabbing and checking your phone constantly all day, and you don’t even realize that you’re doing it. So, this is kinda the really rudamentary science behind it. We talk more about that on Episode 240. And it’s just being aware that this stuff is going on. Now this is not to say that we need to throw our phones away, but it’s just becoming more – I love my phone. I think it’s amazing. But it’s becoming more cognizant of the effects that is has on us. Awareness really begins to start the process of healing, and a better relationship with our device because for some of us, we turn into like Gollum. After that ring, the phone is like The Ring, right? You might be with your friend. You guys are heading out. And they’re like hold up, I need to grab my Precious. Your what? I need to grab my Precious. No, that’s your phone, Susan. “Gives it to us. My phone is my Preciouses.“ And she replies like that. And you’re just like, “Just, it’s gonna be okay, Susan.“ But this is how we get connected. We don’t even know that this is happening. It can really get its hooks into us. And so, just being aware. Again, keep it out of arm’s reach is one of the very effective strategies. So, if I’m at my desk, I’ll keep my phone in the other room. If not, just put it across the room on a bookshelf or something. So, if I really want to go and check my phone, I need to physically stop what I’m doing, get out of position, and go and get it. And by the time you go to do that, you realize like wait a minute, what am I doing here? Rather than it’s right in arm’s reach, you could pick it up before you know it, okay. It could be like you’re scratching, right. It’s just a automatic thing. Alright, so, I hope that makes sense. Just keep it out of arm’s reach. One good way on this list of 12 to help to eliminate distraction and focus and to get more done in your life. No. 3 here on our list is to declutter. Declutter. Researchers at Princeton University found that clutter can actually make it more difficult to focus on a particular task. And it’s something that causes what’s known as something called visual stress, alright, visual stress. I didn’t know visual stress was a thing. We might think about that for like eye strain or something, but all of this data we’re taking in, it’s taking up some mental space. So, if you’ve got a lot of clutter around in your space where you’re wanting to focus, it can really be taxing for you. And it’s not just this, as far as our ability to focus, but clutter’s been found to be correlated with several other things as well, like health and fitness. Researchers at Indiana University found that people with clean houses are healthier in general than people with messy houses. This study tracked the physical health of 998 people between the ages of 49 and 65, and found that participants who kept their homes clean had healthier biomarkers and were more active than those who didn’t. In fact, house cleanliness was even more of a predictor of physical health than neighborhood walkability. So, this is access to safe sidewalks, lighting, other elements that could be used for people to just go walk and be active. Having a clean house was more indicative of physical health. That’s really fascinating stuff. And so, if you wanna learn more about this and dive in, like what are some actual tactics for us to declutter our homes, to help to declutter our minds, potentially get us physically healthier then check out Episode 287 with guest, Chalene Johnson. Because we talked about specific tips to declutter your life. It was really, really powerful. But this is another thing to be aware of. I really enjoy having a clean desk. Everything might not be super tidy in my office. But my visual space, I really like to have as clean as possible. So, again, it could be a visual stress. It could be something that you utililize because now we got data saying that this can help to make it easier for you to focus on a particular task by decluttering your environment. Alright, so let’s move on. No. 4 on our list here of 12 ways to eliminate distractions and to increase your focus, to get more done. No. 4 is to organize and move your apps. Move your apps, alright, move your apps. What does this actually mean? This was game changing for me. I simply took my social media apps because for a lot of us when you turn your phone on, whether it's the facial recognition, or you got the thumbprint, whatever it is you're doing to turn your phone on, if your apps are right there, you’re gonna tend to turn your phone on, click the app. It's a automated behavior. So, what I did was this was, and this was a tip from Rachel Hollis, I moved those apps. I had to swipe several times and put those at the back of my kinda inventory of my apps. That one thing cut down about 50 percent of my just-checks. That one thing, right off the bat. It was life-changing for me because I'm somebody that I tend to be more cognizant of this stuff, but it's so easy to just turn your phone on and just hit the app. So, move your apps. Move your apps. So, why is this? Well, how does this work? We like shortcuts. Humans like shortcuts. We don't even wanna take the time to call our apps what they're actually called. They’re called applications, right. We like shortcuts. We call Instagram IG. We call our significant other, instead of boyfriend, girlfriend, fiancé, Bae. It’s Bae, or Boo. And even instead of like somebody’s pregnant. Now they’re pregs, or prego. Are you spaghetti sauce? Is that even… it’s not cool. Self-contained underwater breathing apparatus, SCUBA. The list goes on and on. We taking what’s up and it’s devolved to whatup. Then it’s like wazzup. Now it’s just like sup. Pretty soon it’s gonna be like tt-ss, maybe a little head nod. So, we like shortcuts. Take this shortcut away helps eliminate distractions. Alright, so move your apps, alright, move those apps. Alright, No. 5 on our list of 12 ways to help to eliminate distractions and increase our focus to get more done; No. 5 is meditation. Meditation. And in this particular study, researchers at the University of California, Davis assessed participants who ranged from 22 to 69 years of age before and after they did three months of consistent meditation practice. Various types of meditation were used, from mindfulness to focusing attention on a single thing to simple breathing exercises. And at the end of the study, participants were found to perform significantly better on tasks related to focus and sustaining attention. 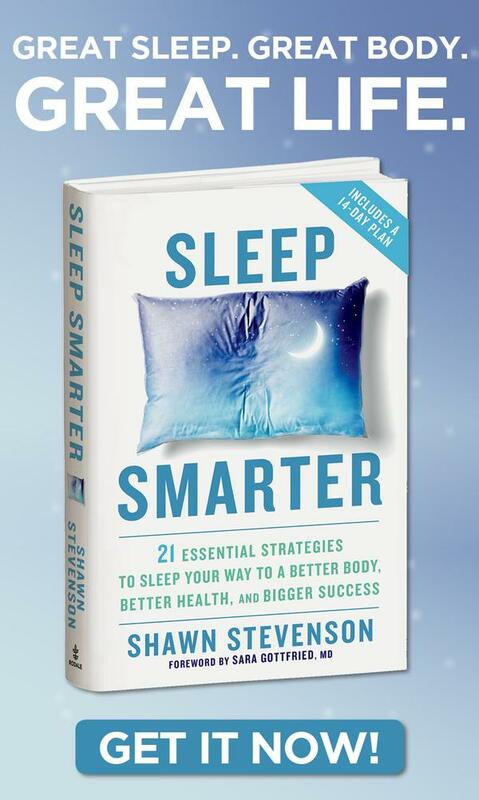 And also in my book, Sleep Smarter, I cited a study from the journal, Brain Research Bulletin, where researchers discovered that people trained to meditate over just an eight-week period were better able to control specific type of brain waves called Alpha rhythms. Alpha waves. These are brain waves that are actually correlated with more focus and attention. And also, researchers at Harvard Medical School found that meditation alters the structure of your brain, literally altering the structure of your brain, thickening the regions associated with attention and sensory processing. It’s incredibly powerful, and it's a tool that we all have access to. Meditation is about you. This is about that – because, again, we have external distractions and we have internal distractions. This is one of those things that helps to eliminate and helps to move to the side and move past, evolve beyond the internal distractions. So, this is why it’s so valuable. Now, one of the definitions that I absolutely love describing what meditation is, is paying undistracted attention to the present moment. Paying undistracted attention to the present moment. And that’s from Michael Beckwith. And that’s one of the aspects of meditation because humans are great at analyzing the past. We can use our incredible minds to go back and look at so much that has happened historically in our lives. We also have this capacity of future-casting, right, of forecasting, of looking forward, but all of our power really lies here, in the present. And if we’re talking about focus that means being here in the present, and this is one of the things that this practice cultivates because it's a practice. This isn't something one time, oh, that didn't work. I’m not more focused. It's building his mental muscle. It’s really like doing a reset or a reboot to your operating system, so that your body and your mind are more cohesive and in sync. We’re adding in some new software. We’re getting rid of old, faulty programs that can be sabotaging us. It’s got like crazy pop-up boxes and things like that. Gotcha. Surprise. So, helping to get those things out, move them to the trash. Put the good stuff in. And that’s what this practice is really about. Thoughts drift. It’s the ability to bring your thoughts back to the present. The ability to bring your thoughts back to having the awareness of the particular desired object maybe you're focusing on, or a mantra, or whatever it might be. Maybe you’re just focusing on your breathing and your breath moving in and out of your body, and that's where your attention is going. But you might drift off and you might think about Shaquille O'Neal dunking on Webster or something, just some crazy thought that comes up, right. I wonder if Shaquille played Webster? And if Webster was on team with a Power Ranger, if they be able to take Shaq, just crazy stuff that we can come up with, alright. But this is, again, bringing your attention back to the present, back to what you want to focus on, really helps to build that mental muscle. And this is why it's so valuable, so important. I really wanna make sure that you are utilizing this tool. So, again, we’ll put some episodes in the show notes where we've talked about meditation in the past. So, make sure to check those out. One was with Light Watkins, who creates a powerful on-ramp, a really powerful on-ramp for meditation, takes all the mystery and the complication out of it. And another one is with Dr. Daniel Goleman, which, man, just had a huge impact on my life, personally, as a teacher, and as a mentor. And he's sat down with Oprah for Super Soul Sunday. He’s done lectures all over the world. He’s just a leading expert in the field of emotional intelligence. He’s the one who really put that out to the popular culture; social intelligence, same thing. So, and his research on meditation, mind blowing, alright, so make sure to check that out. Now I mentioned Alpha waves. Alpha waves. So, we have, during our normal kinda waking state, we’re in Beta; some Gamma, right? That’s the brainwave state that we’re in. But as we move into more focus, we move into more Alpha waves. Then we go into Theta then Delta. Delta is like deep sleep, actually, but some advanced meditators can get themselves into the state of Delta. But Alpha is really where we wanna operate when we’re in flow and focus. 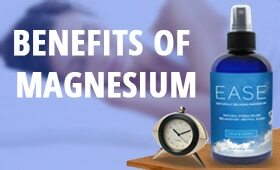 And listen, there are very few things that have clinical evidence, as far as our nutrition is concerned, to help to get us into that optimal brainwave state, except there's this product from Earth Grown Nutrients, called Alpha Brain. Alpha Brain. Clinical trials; two double-blind, placebo-controlled clinical trials conducted at Boston Center for Memory showed that Alpha Brain versus a placebo, here's what they found. Check this out: 12 percent greater improvement in verbal recall over a placebo, so you're able to remember more of the stuff that you’re hearing. Remarkable; 21 percent faster completion time in executive function assessment compared to the baseline; 21 percent faster. And these studies, they were replicated and the results observed the same thing when they did it again. Also, this is important too, equally as safe and tolerable as the placebo. No side effects except your brain is working at a more optimal level. Alpha brain. So, you could check that out right now. Head over to onnit.com/model. It’s O-N-N-I-T.com/model and you can get Onnit’s flagship product that has just really changed the world. You see these all over the place now. It’s just popping up. But you get 10 percent off. You get 10 percent discount off of everything that Onnit carries, including their fitness equipment. Head over to onnit.com/model. Get yourself some Alpha Brain. Give it a shot. That’s what I’m on today. I got that Alpha Brain in my veins, alright? So, head over, check them out, onnnit.com/model. And so, let’s move on to No. 6 on our list of 12 ways to eliminate distraction and to increase focus to get more done. No. 6 is to block distracting sites during focus time. So, if keeping the phone away from you isn’t good enough, if moving the apps away on your screen to the back of your of your inventory of apps, you gotta swipe to get to it, and you want even more protection against yourself then you can carve out – by the way, this is so we can carve out time for work, for exercise, for spending time with the people that we care about. That’s why we’re doing all this. We can turn off our phone, obviously, and computer when we’re doing these things to focus. Or if whatever we might need, keep certain processes open like if we need a Word document or something like that. But what you can do is you can block sites. There’s a free app called SelfControl, for example, that shuts off especially distracting websites, specifically like social media or news sites, for a period of time, like you can actually set it so that it does this automatically. It will lock you out. So, if you need that, use that because you have to decide whether or not you care enough to really focus on getting the job done. You have to decide that within yourself. And if you wanna set things up so that your devices aren’t taking control of your mind then this is one of those things that you can utilize. So, No. 6 is to block distracting sites during focus time. No. 7 is to block distracting people. Block distracting people. This doesn't mean that they're not a good person, by the way. This could be people that you love, like love more than anything. They can still be a distraction. So, communication is absolutely the key. Maybe you gotta get a project done. Maybe you work from home and you gotta get a project done, you need to communicate with your significant other and/or your kids, and let them know what's going on. And so, for me when I was working on a project not too long ago, I had to let my wife know that hey, I really need to focus on this so I can get this done, so that I can spend time with you and to do fill-in-the-blank, you know, to take the kids to whatever it might be. But there was a reward. There was a family portion after, but this portion I really need to focus. And sometimes I might say it to her, this is recent. I was like babe, I really need to focus on such and such. And she’ll be like I’m not gonna bother you. Just get a little reverse attitude with me. But I do the same thing. We all just kinda want – one of the things that’s so interesting is that when your significant other needs to focus and they’re trying to focus on something, we tend to crave attention. So, I like to bother her when she's working. I think it’s cute, but she doesn't. She does is not think it’s cute. And so, so communication is really key here. So, communicating, letting folks know that hey, I really need to focus and work, so can you please help out with such-and-such, fill in the blank, maybe pick up the kids or whatever it is, so you can have your focus time also. And particularly if focusing and accomplishing your goals is of great importance to you, it would be wise to eliminate or put up a barrier for the relationships that tend to bring negativity into your life. Again, distraction isn't only externally sourced. It’s also internally sourced. And when you're ruminating on the negative things that other folks are bringing into your life, this can rob you of your focus. When you're just ruminating and processing and staying stuck on negative things from negative people, how in the world are you focusing at your best ability? You’re not. So, I encourage you to, if you happen to have missed it, or to re-listen, this episode is classic and powerful. Listen or watch Episode 278, Daily Self-Care & 8 Signs That You Need To Move On From A Relationship. If you need some help here with blocking distracting people, check that episode out. I promise you’re gonna walk away with some incredible insights about you, and action steps for you to really kinda take back control of your life and your heart. Alright, now, at the end of the day, ultimately we’re trying to put up a positive perimeter around our life. There’s a lot of stuff going on, especially when we need to focus. Put up that positive perimeter where you are able to take action on your goals to execute, and then you can step outside of that. Alright, so, that’s No. 7, block distracting people. No. 8, moving on. No. 8 on the list of 12 specific ways to reduce distraction, increase focus, execute on your goals. No. 8 is to stop multitasking. Stop multitasking. I know right now you’re like, “I multitask just fine.” No, you don’t. It's really a misnomer because the actual thing that we’re doing is something called task-switching. You doing two mental tasks at the same time is not something that the brain is acclimated to do. It's really splitting. What you're actually doing with the other task is you’re actually making the other task a distraction to the task that you’re needing to focus on, internally creating a distraction because you’re trying to do two things at once. You can absolutely do a mental task and a physical task at the same time; listening to a podcast while you’re cleaning the house, for example. That's all good. We can do that, like we’re great at doing that kinda stuff, but two mental tasks? What we’re doing is creating a distraction. We’re distracting from the task that we need to get done. And so, what it’s referred to now is not called multitasking. It’s called task-switching. And what this does is it creates something called a switching cost, a switching cost. Or it can also be referred to as attention residue, so there is a hangover effect. When you switch from one task to the next, it takes your brain, on average the research is indicating, somewhere around 10 to 15 minutes to get back into the zone or into the flow, depending on what the depth of the work that you're doing, by the way, of what you were doing before you decided to switch tasks. So, if you could just focus in, eliminate the multitasking, just focus on one objective at one time, get that done then move onto the next thing, you're really harnessing the power of the human mind. Now with that said, and by the way, multitasking, what's been found in the research is that when you're attempting to multitask, it's as if you are doing your work while intoxicated. It's taking your level of focus and attention down so many notches that it's as if you're doing them while intoxicated. Now here's a little caveat. I didn't know if I should share this, but multitasking, the downside of it, which is again, taking your ability to focus down a few rungs, is virtually eliminated. I just don’t even wanna share this. It’s virtually eliminated, according to research from Dr. Daniel Goleman, by having a meditation practice. Ironically, this helps to dramatically reduce this switching cost, for you to be able to bring your focus back fully and completely on that task that you're switching from. And it just makes sense, because that’s what meditation helps to train your brain to do is to bring your focus back and get really focused in wholeheartedly when you do. So, again, that's episode 237, Altered Traits, with Dr. Daniel Goleman, so make sure to check that out. Now move on, No. 9 on our list here. No. 9 way to help to eliminate distraction, to increase our focus, is to work out. I work out. A 2010 study published in the Journal Attention Deficit and Hyperactivity Disorders found that exercise literally neutralizes the effects of attention deficit and distraction. The study showed that exercise resulted in higher alertness, decreased impulsiveness, and statistically increased sustained attention. Now you don't even need to train particularly hard, by the way. So, when we think about exercise, we think about doing cardio, it might be running, might be doing some biking, maybe playing a sport, lifting weights. These are the kinda things that we’re looking at, but you don't even need to train particularly hard to get this benefit. Check this out. A study published in 2008 in Neuroscience Letters found that just ten minutes of playful coordination skills, like bouncing two basketballs at the same time, significantly increased performance on the concentration and attention tasks that were given after doing that small exercise, right, coordination. The researchers deduced that coordinated exercise might lead to pre-activation of parts of the brain which are also responsible for mediating functions like attention. Fascinating stuff; fascinating. So, dribbling a couple of basketballs; juggling, right, juggling. This is something that I went to some kind of brain health conferences and a couple of times like they would give in the little goodie bags some things to juggle, right, some fuzzy balls to juggle, so that’s something else, walking across the slack line, working on that coordination. Or even outside of that, whether you’re hitting the gym, working out, you’ll get the benefits of increased concentration after you do these things. So, here's another little hack for the human mind, to really hack into the system, and to increase your focus immediately following doing some exercise. Really, really cool stuff. Now I just wanna make this clear though. I wanna make this clear. When we’re doing this stuff, even when we’re at the gym working to get the workout in, so we’re not distracted later, don't get distracted at the gym itself. Don’t get distracted. Go there, execute. I literally, the other day I was at the gym, I went to get a couple dumbbells. I walked by a lady. She’s sitting on the bench by the weights playing solitaire. She's playing a by-myself card game at the gym. Like what are you doing? She's already – so, you get what I'm saying. Don’t go there, take up space. Go there, execute, get the rewards afterwards. So, I hope that makes sense. Alright, so move on to No. 10. No. 10, this is really, really powerful stuff here. No. 10, to increase your ability to focus, to eliminate distractions. No. 10 is to make sure you're well rested. This is a huge key. This is one of the biggest reasons why it's so difficult to focus today. When you’re sleep deprived, you actually get distracted easier. There’s a new study published in the Journal of Applied Psychology that found that the less students had slept the night before, the more likely they were to wander off from their assigned task the next day. They found a direct correlation that with every minute of sleep people got, they spent 0.05 fewer minutes surfing the net the next day. The connection with disturbed sleep was also very strong. An hour of disturbed sleep would, on average, result in “cyberloafing,” this is a new term being used, cyberloafing during 20 percent of the assigned task. So, every hour of bad sleep resulted in 20 percent more cyberloafing the next day; super-fascinating. And with adequate sleep you are, in fact, sharper, better able to concentrate and focus, and the results you get is the capacity to get more done in a shorter amount of time. And also, by the way, in this same vein is to make sure that we’re taking some breaks, so you can avoid that mental fatigue that can open the door for more cyberloafing. When you’re just tired there's something called decision fatigue; when you've done so much working without giving your mind a break, maybe you go over to some novel stimuli. Maybe you have some strategic time wasting. Maybe there’s some time that you’re allotted to go and browse around on social media. But that actually helps to keep your brain fresher after you’ve been working and executing for a focused amount of time. So, I hope that makes sense. Give yourself a break at some point. Maybe it’s every hour. And it can be difficult. Some of us listening, it can be difficult to walk away when you're grinding. Maybe you’re in a zone. But I've seen consistently because sometimes when it’s really hard to pull myself away, when I do, I come back fresher, creative, more ideas. Things are just easier when I step away for a little bit. So, make sure you're well rested. And when you are short on sleep, by the way, which is life is gonna happen at some point, you need to be even more vigilant about being aware of the acclimation or the desire to go and waste time right. When you're short on sleep, just know it, come into it with an awareness that I’m gonna have a tendency to start doing things and distracting myself that I normally wouldn't have. So, that's really just a simple thing is more awareness of this. So, let’s move on. No. 11, do the most important things first. This is to avoid that decision fatigue that I talked about. It’s much more difficult to focus if you’ve been doing a lot of busy work and switching from task to task and then you need to really focus on something. Do the most important thing first. Brian Tracy said, “Eat the Frog.” Eat the Frog. This means you start the day, you eat that frog. After you eat a frog, it’s pretty much downhill from there, right? Everything is pretty much easier, unless you’re like super into frogs and it’s like fried frog legs or whatever. I don't know. Then it may be, you know, it's not downhill, but bottom line, if you just like eating the whole frog, it’s just super-gross. Yeah, it’s gonna be pretty easy after that. So, do the hardest task first and/or the thing that is most important and/or the thing that is going to move your life, your career, whatever it is you’re wanting to focus on furthest, do that first and put everything else after that. But also, I want you to respect your own natural rhythm of things, okay. This is very important because you don't need to go by somebody else's clock. And so, when do you feel most productive? I want you to ask yourself that. Do you tend to feel more productive in the morning? Do you tend to feel more productive in the early afternoon before lunch, or right after lunch, or in the late afternoon? Or even in the evening? When do you tend to feel more productive? Honor your own natural rhythm. So, one structure could be morning is for your creative work. This is when you need that deep focus. The afternoon, you can put your busywork there; replying to e-mails, just handling minor tasks. Evening could be your family time, entertainment, guilt-free distraction. This is when you just do your surfing. There's no remorse. There's nothing else you need to be doing, so you can just wholeheartedly goof around, or connect, or whatever it is that you wanna do. Schedule that time, so it doesn't distract you and have its way with you, basically. So, also, another tip in the same thing – by the way, this is all – when we talk about routine and having a structure, success is in your routine. It's not something you do every now and then. It’s going to really transform your life, and to create the very best health, success in your finances, relationship. It’s not something you do every now and then. It’s what you do consistently. So, success is in the routine. We’ve got master class episodes with the science behind morning routines and evening routines. And I’ll put both of those in the show notes for you, so make sure to check those out. But one little bonus thing I want to throw in here is that keeping in mind to practice self-care. When you first wake up in the morning, so many of us the very first thing we do is we grab our phone. We start checking messages, going to e-mail, going to social media, checking out the news. Do your self-care practice first because what you're doing, even if it doesn't happen often, at some point you’re gonna click into something and all of a sudden your mission and goals for the day are now going to be switched to somebody else's mission and goal for the day. Now somebody else’s agenda for you is gonna take priority. And I’m just like, “No. Be Smeagol, not Gollum. Be Smeagol. Smeagol good, Gollum not good.” So, keep this in mind. It's not easy at first, but because of the dopamine connection we talked about earlier and opioid system. So, all of this stuff is very doable and tangible, but I highly encourage you to handle self-care first before picking up your phone. So, moving on. We’re at No. 12 here on our list of 12 ways to help to eliminate distraction and to increase focus to get more done. No. 12, and one of the simple and easily accessible ways to help to eliminate distraction is to use headphones. Use headphones. One of the best ways to tune everything out is to tune into music. And when everything around you is distracting, you can actually put the headphones on and you can find that that serves. So, this is like background music, rather than what takes up all your attention is all of this kinda vocal noise going on around you. So, music can help you to concentrate. And headphones also can be a signal for other people that this is your time; that you’re focusing, by the way. Plus there's benefit in playing the right music, as well. A study conducted by researchers at Stanford University show that music engages areas of the brain involved in paying attention, making predictions, and updating events in your memory. The research also indicated that listening to certain music can help our brains to sort out information, which is pretty cool. Now I actually shared this study, by the way, with my Model Mondays’ readers months ago. And plus, also, when I did that I shared one of my favorite playlists, so I could easily put the link into the message. So, if you're not getting Model Mondays, what are you doing? Model Mondays; every Monday I share three valuable pieces of content. This could be books I’m reading. This could be studies I’ve come across. This could be giveaways, doing giveaways. Matter of fact, let me show you. This upcoming Monday, I’m gonna giving away a couple pairs of Swannies blue light blocking glasses to my Model Monday readers. So, make sure to pop over there, get yourself on for Model Mondays. Just go to themodelhealthshow.com/mondays, with an S; themodelhealthshow.com/mondays. That’s where you can sign up, get access to Model Mondays. So, also, the headphones that are noise canceling, which is a new technology, it’s pretty cool. And it’s just something that super simple, and we can all take advantage of this. Use headphones to help to block out some of the kinda ambient noise that might be distracting for you because just like we talked about visual stress, there can also be auditory stress. But sometimes that stuff can help you to flourish, working at a coffeehouse or whatever the case might be. You just have to find what works great for you. But if I’ve got the kids are home, they’re off for the day, or whatever, from the random thing, and maybe they’re upstairs, they’re playing around, I got my headphones. I could focus in my office, get my work done, put on specific music. Generally, it’s not gonna be Tupac. Let’s just be honest. That might not necessarily help you to focus on writing or whatever. And no, maybe could be, but generally it’s gonna be more instrumentals and those kinda things. So, keep that in mind and take advantage of it. So, listen, there's a lot of things we went through today, but it’s really about taking back control of your attention. It’s the most valuable thing you have because where you place your attention is the direction that you’re really taking your life in. Your energy of your life really flows where your attention goes. So, it’s incredibly valuable. And more than ever we’ve got so much distraction. Again, we got WMDs, Weapons of Mass Distraction, coming and vying for our attention, and we need to take more control of it. And we can definitely dispense it out and have a good time, but ultimately we wanna be the ones running the show. So, be prepared. At the end of the day that's what I want you to really take away with all these 12 things we went through. Be prepared. One of the greatest things that we have as a gift, as humans, is that foresight to be able to forecast what potential distractions might come. And you can foresee what technique or tool or strategy you can use to eliminate that distraction before it even comes up. That’s the best way to handle it. So, solve the problem before it’s a problem. An example that comes to mind is for years they were having trouble at airports with folks laying across the seats in the terminals, folks coming and laying down across the seats. So, they put signs up, just please do not lay across the seats, for other people, to be considerate. But you know, some people get stuck in layovers, some people are just dealing with stuff, they’re sleeping, whatever, people just continued to do it. Some people just see the sign, if it says don’t do something, they do it. There are some people that just do that kinda stuff anyways. But instead of trying all these different ways to get people to not lay across the seats, put arm rails up. You eliminate the issue before it can even be an issue. So, think about that in the context of managing your own time and attention. If you know you're likely to lay your attention down across your metaphorical airport seats when your phone is around, for example, then put that armrest up. Put that armrest up by putting your phone out of arm’s reach. That’s just one strategy that we can put that armrest up to eliminate that potential issue. So, I hope that makes sense. Also, listen, at the end of the day even as we’re dealing with these distractions, learn not to take things so seriously because sometimes I’ll have distractions from my kids, from my family, from other stuff going on. And that's okay because the better able you are to roll with the distracting punches that show up in our lives, the more happy and productive you're gonna be at the end of the day. And there’s a great quote that helps to affirm this. This is from Joseph Campbell and he wrote, “As you proceed through life, following your own path, birds will take a crap on you. Don't bother to brush it off. Getting a comedic view of your situation gives you spiritual distance. And having a sense of humor saves you.” So, again, life is initially sweeter when we can smile and even laugh about the person, place, or thing that showed up to distract you. So, again, just keep all this stuff in context, but be proactive. Put things in place to help to eliminate distractions. Take back control of your attention because it is one the most valuable assets you have in this life. And if you got a lot of value out of this, make sure to share this out with your friends and family to help them better focus and eliminate distractions, as well. You can share it on social media, right here, in the app you’re listening to this on. Or if you’re watching on YouTube, you can share it out on social media, Instagram, Twitter, Facebook, all that good stuff. Use it for something good. And it really does mean the world to me, as well. And to help to transform another life, you have that power within you. So, on that note, listen, we’ve got some incredible, incredible, incredible guests coming up. So, make sure to be ready. Take care. Have an amazing day. And I’ll talk with you soon. 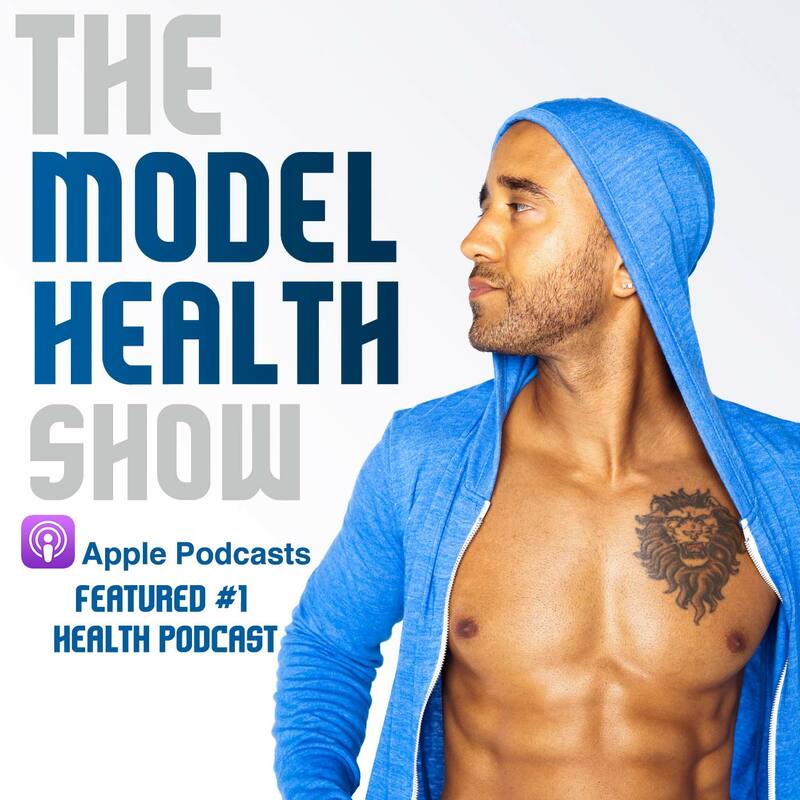 And for more after the show, make sure to head over to themodelhealthshow.com. That’s where you can find all of the show notes. You can find transcriptions, videos for each episode. And if you got a comment, you can leave me a comment there, as well. And please make sure to head over to iTunes and leave us a rating to let everybody know that this show is awesome. And I appreciate that so much. And take care. I promise to keep giving you more powerful, empowering, great content to help you transform your life. Thanks for tuning in. One step further than just moving social media apps to the back screen..I removed the Facebook app altogether. I can still get to FB through the browser if I want, but that takes 2 or 3 steps, and as you said, we are lazy. Usually by the time I pull up the browser and start navigating to FB my brain realizes it and thinks, wait, I don’t need to do this right now. It’s not automatic like clicking the app and getting sucked in so I’ve spent much much less time aimlessly browsing.